Researchers have found shipwrecks near the coast can leave sediment plumes that can be detected by infrared satellites looking on the water’s surface which can reveal their location. 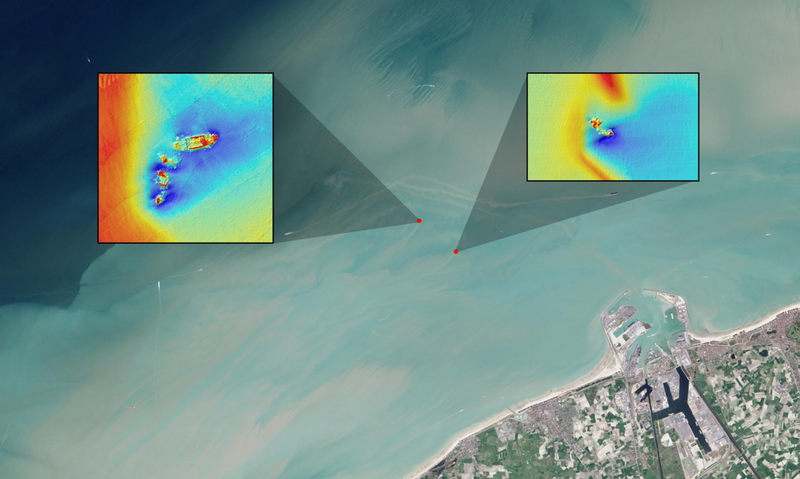 The joint venture NASA/USGS Landsat 8 satellite, put into space in 2013, was recently utilized in a study to see if it could spot watery graves of shipwrecks by detecting sediment plumes in shallow water less than 50 feet (15 m) with plumes extending as far as 2.5 miles (4 kilometers) downstream. 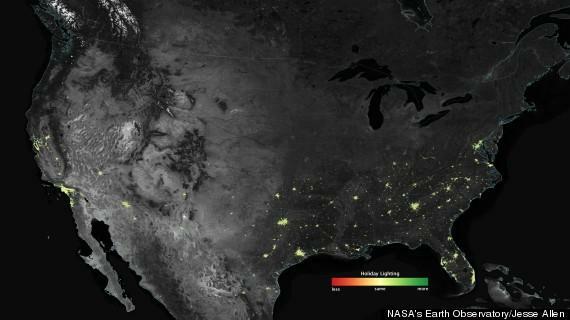 Researchers used atmospherically corrected Landsat 8 reflectance data from OLI 4 (red band) and OLI 5 (infrared band). An estimated 3 million shipwrecks are scattered across the planet’s oceans. 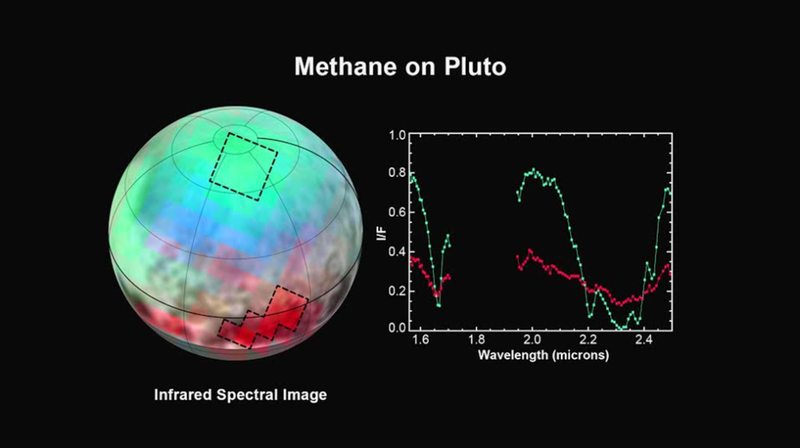 Sediment plumes must reach the surface in order to be detected by infrared. The researchers postulated that the exposed underwater structures have created scour pits in the seafloor that fill with fine sediments (sand, clay, organic matter) during slack tides, the period of relatively still water. These scour pits become repositories from which sediments are re-suspended during flood and ebb tides. When these sediments reach the surface, they create their telltale plumes. Typically these shallow, sediment-rich areas near shore were hazards to navigation due to reasons such as shallow water hazards rocks and reefs, which can cause catastrophic damage to vessels either in a storm or as a result of navigational error. Also, historically, military and pirate activity typically took place near shore. This discovery demonstrates for the first time how Landsat and Landsat-like infrared satellites may be used for marine archeology. For example, the newly recovered ships may be a discovery of historical significance. Another potential uses is if the hard substrate of the ship has created a reef, it can be of great ecological significance. Also, modern-era shipwrecks are commonly sources of pollution, leaking onboard fuel and corroded heavy metals which can be studied for their ecological impact or cleaned up. Newly discovered underwater shipwrecks could also be added to navigation charts, as unknown underwater shipwrecks are potential hazards for commercial shipping routes. …Or this technology can be used for treasure hunters, what else? Let’s not try and sugar coat it, or in this case sediment coat it. Astronomers have snapped a photo, using NIR cameras, of a pink alien world that’s the smallest (lowest-mass) exoplanet yet found around a star like our own sun. The proper name for this alien planet is GJ 504b, is cold with few clouds and it likely has a dark magenta hue, infrared data from the Subaru Telescope in Hawaii revealed. 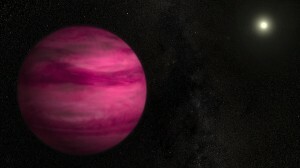 “If we could travel to this giant planet, we would see a world still glowing from the heat of its formation with a color reminiscent of a dark cherry blossom, a dull magenta,” study researcher Michael McElwain, of NASA’s Goddard Space Flight Center in Greenbelt, Md., said in a statement from the space agency. Although the gas planet is the smallest ever found around a sun-like star, it’s still huge — about four times the size of our solar system’s gas giant Jupiter. It lies nearly 44 Earth-sun distances from its central star, far beyond the system’s habitable zone. The newly found ‘pink planet’ has cause for alarm for scientists as it challenges common held beliefs in traditional models on how planets are formed due to its size and massive distance from it’s host star.